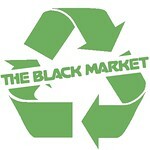 The Black Market allows the customer to clean out their closets and recycle those unwanted items which would normally end up in the landfill. 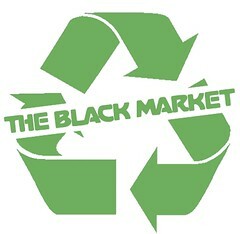 The Black Market sells locally made clothing from local designers which are usually made from recycled clothing. The Black Market is a "bagless" store. We only offer reusable totes or handmade tee shirt totes from unsellable tee shirts. We have an in-house alterationist who repairs damaged items. We donate all unwanted, unsellable or unacceptable articles of clothing to the Lincoln City Mission.